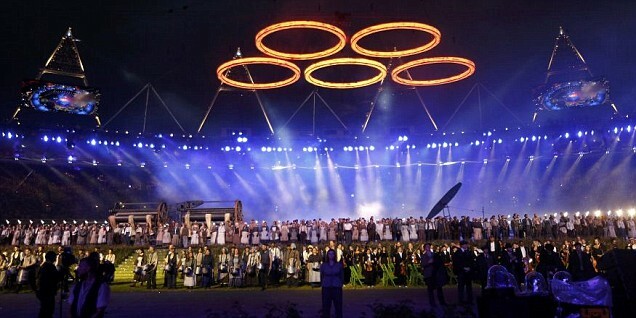 London 2012 Olympics Opening Ceremony Party - Bringing It All Together! 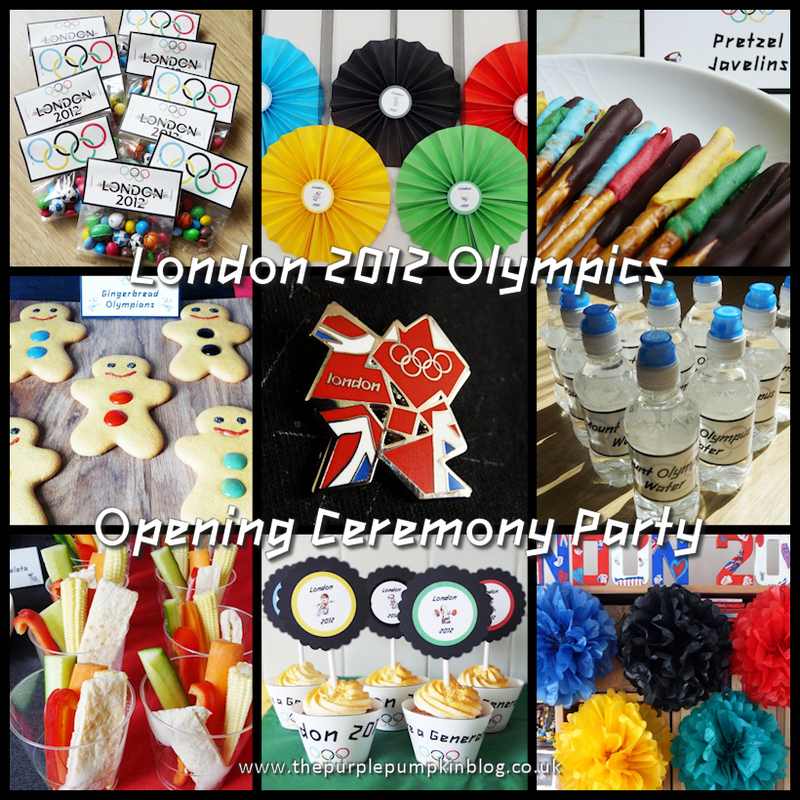 London 2012 Olympics Opening Ceremony Party – Bringing It All Together! 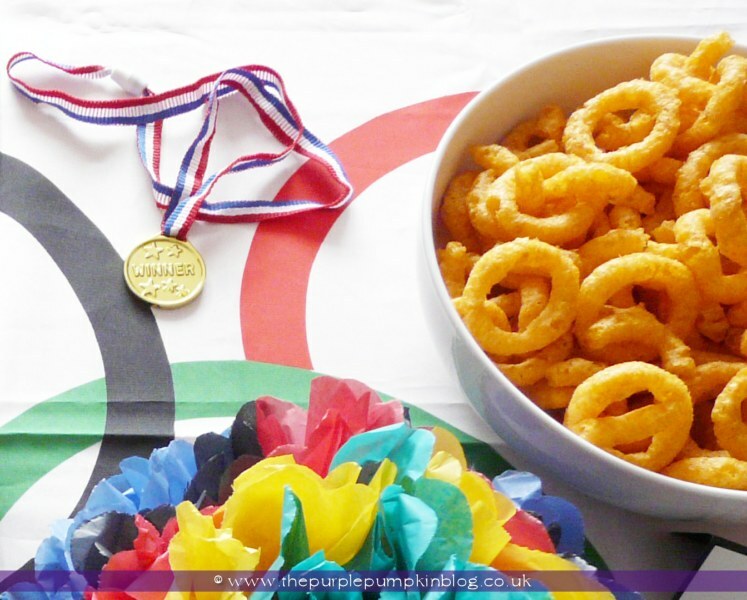 As a Brit and a Londoner, I was very excited at the prospect of the Olympics coming to London, and of course, planned a party! 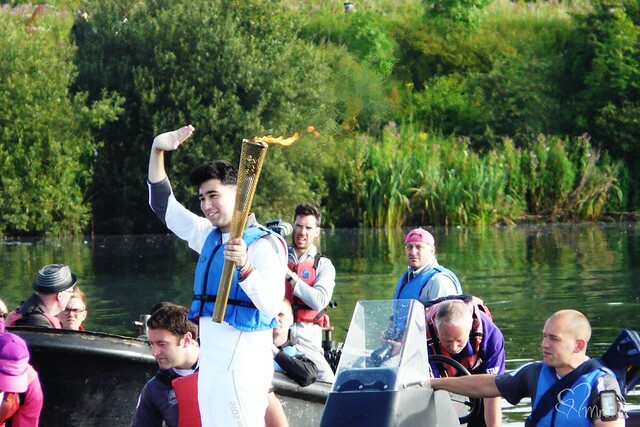 I held the party on the night of the Opening Ceremony and the Olympics suddenly started to become real for me when my husband, son and I went and saw the Olympic Torch Relay at Fairlop Waters. Later that same afternoon, in was then in the town centre, where we all went again, this time accompanied by my two sisters and brother-in-laws. 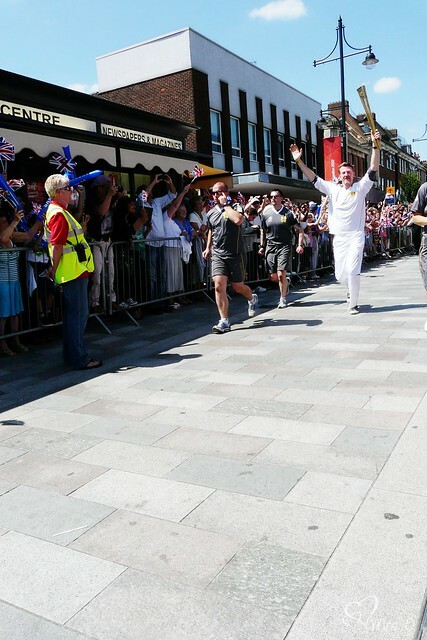 It felt like such a momentous occasion and was very exciting to be part of. Having failed several times in the initial ballots for Olympic tickets, I did get a bit annoyed with the games, that as a Londoner I wouldn’t get to see any events, however, we keep trying, and fingers crossed we will get something for this weekend. We did manage to secure some Paralymic tickets in September, which we are all really excited about! 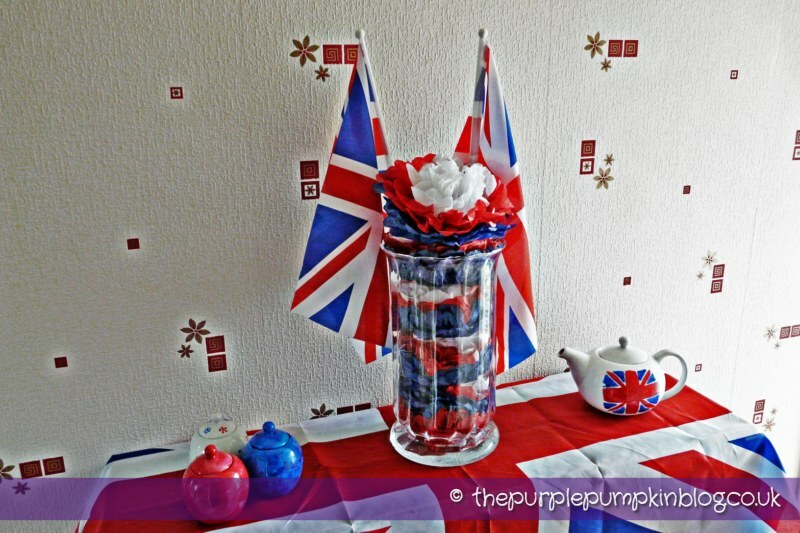 Having already celebrated the Diamond Jubilee this year, I had lots of Union Jack flags and other decorations that I could use to support Team GB, and decorated the table in my hallway. 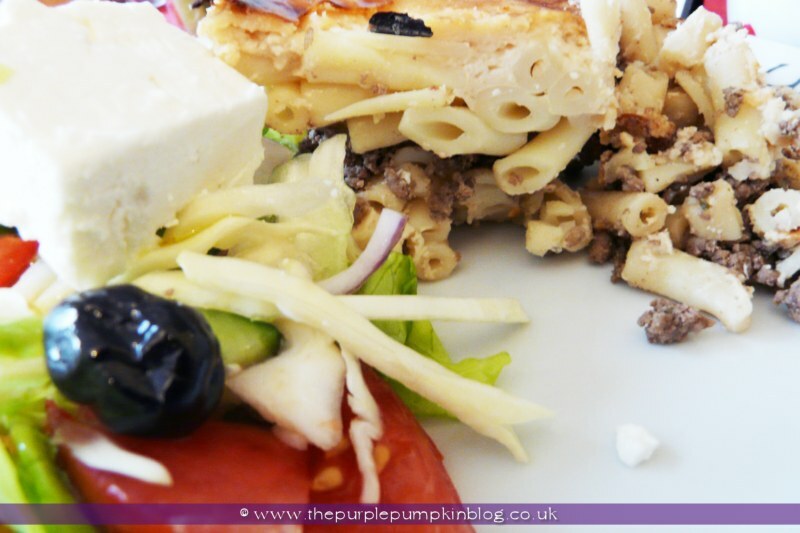 I served Macaroni Pie with a Greek Cypriot Salad – one of my favourite Cypriot dishes. 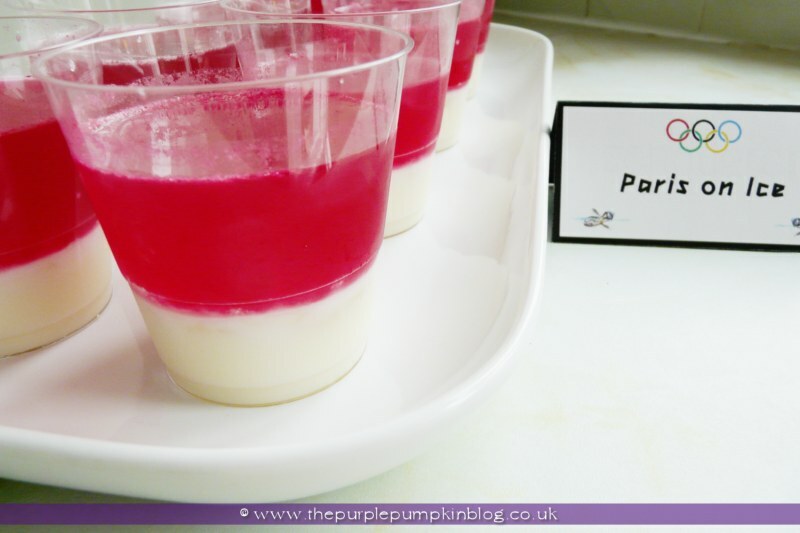 For the main dessert, I served a childhood favourite of Paris on Ice gelatine dessert. I made a dressing to go with the salad, and also had a selection of dips – hummus, tzatziki and taramasalta, and to dip into them, individual pots of Pentathlon Crudities. For drinks, I served iced tea in my new drinks dispensers (which I LOVE by the way!) and also made some custom wrappers for bottles of water. I made some decorations to adorn my living room, which were pretty simple to make, but very effective! 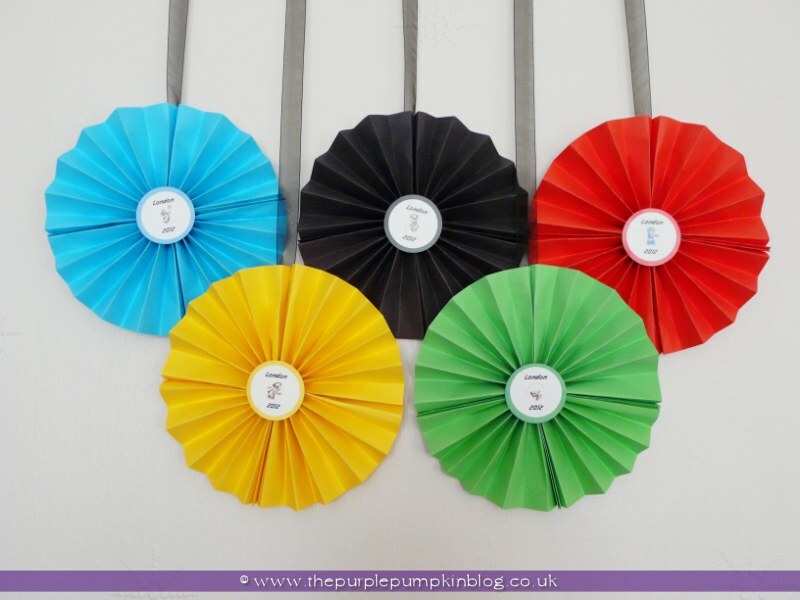 There were the Olympic Rings paper wall fans, which I hung from the picture rail around my living room, and looked lovely. 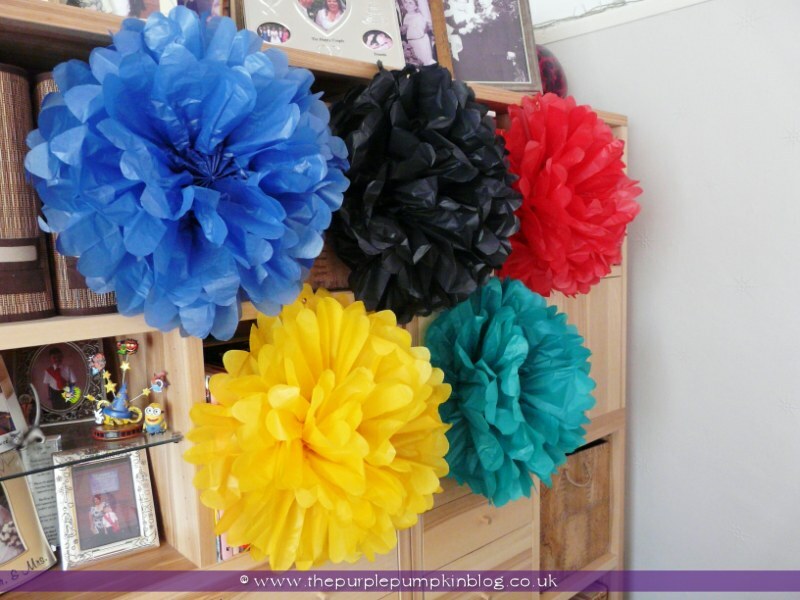 Then there were the giant Olympic Rings tissue paper rosettes, which are very pretty! and then added them to my side unit above the rosettes. 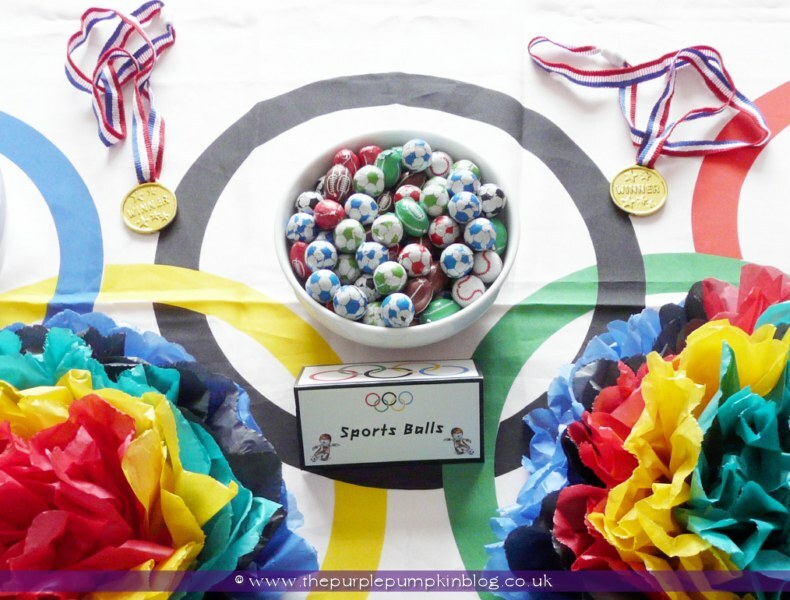 Chocolate Shot Putts, Chocolate Sports Balls and Olympic Onion Rings! No party is complete without some cake, so I whipped up a batch of London 2012 Cupcakes, which I made custom wrappers for, along with some cupcake toppers. 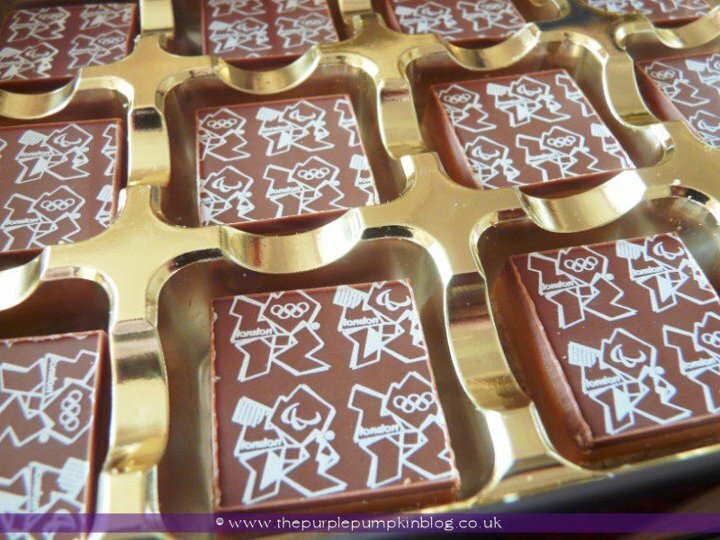 As a thank you, I also put together some Olympic Favour Bags to give to my guests. With the food all out, and the TV on for the Opening Ceremony, my family and I sat and watched this historic event unfold in our hometown! We could even hear the fireworks from 15 miles away!! Hubby wore his Olympic pins with pride, and all the decorations will remain up for the rest of the games, and into the Paralympic Games that start at the end of August.